Ever feel self-conscious about the way your ears ‘stick out,’ or get teased for having big ears? Individuals concerned with the appearance of their ears may be candidates for the popular facial plastic surgery procedure known as otoplasty or ear reshaping surgery. I’ve seen patients from all over the Orange County area who sought this procedure to improve their confidence. In most cases a protruding ear is due to the lack of development of what is known as the antihelical fold – a raised groove just inside the rim of the ear that develops in utero. The lack of the fold literally unfurls the ear cartilage, causing it to stick out more than usual. Surgery involves recreating this fold with permanent sutures, thereby bending the cartilage back towards the head and preventing it from sticking out. In some cases, an overdeveloped conchal bowl can also be contributing to the protruding ear. This is the ‘deep bowl’ appearing structure that leads into your ear canal. In this case, some of the cartilage may need to be removed and sutured back to allow the ear to sit closer to the head and stick out less. Otoplasty can be performed under local anesthesia with mild sedation in most patients. Depending on individual preference, general anesthesia can be used as well. The incision is made behind the ear to access the cartilage and permanent sutures are generally placed to recreate the antihelical fold. Through this same incision, the conchal bowl can be modified as well. The incision is then closed and is hidden behind the ear. A headband must be worn for approximately 2 weeks after surgery to support the suture repair and allow the cartilage to heal. It is also important not to manipulate the ears during this time period. After this two week period, the headband is only worn at night time for an additional 3-4 weeks to prevent inadvertent movement of the ear when asleep and rolling around. 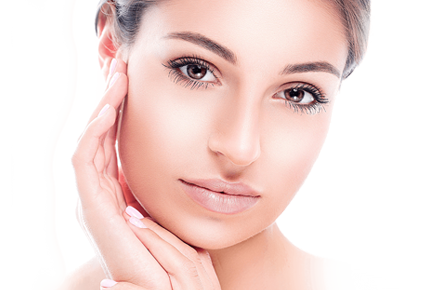 The results from otoplasty are immediate and often extremely gratifying. If you are self-conscious about the appearance of your ears, and in the Orange County area, this may be the answer for you. Please call for a consultation and I will be happy to sit down with you and answer any question you may have.